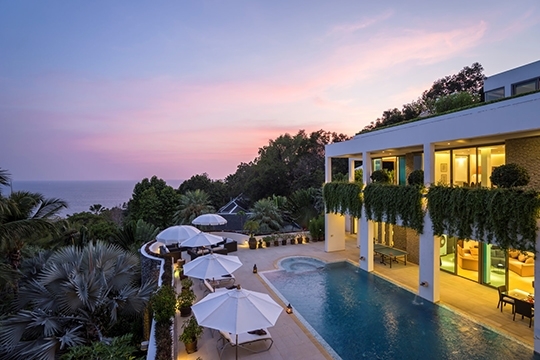 One Waterfall Bay is a 5+1 bedroom, sea-view villa perched on a headland just minutes from Kamala Beach. 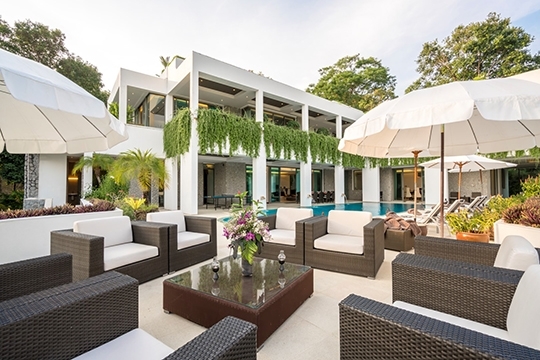 A private pool, spa room and cinema room, plus a full complement of staff including a villa manager, chef and personal driver make this lavish tropical villa ideal for entertaining or simply relaxing. 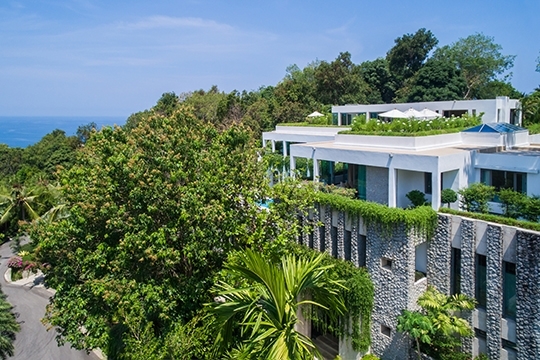 With spectacular sea views, the 8-bedroom Villa Saan is an exquisite hillside hideaway near Kamala Beach. 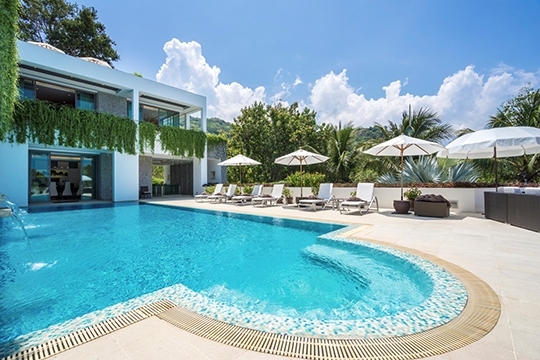 This modern, fully-staffed villa offers families and groups an inspiring and restorative holiday escape with its 19m pool and jacuzzi, cinema, games room, spa beds, gym, and lavish master suite with its own plunge pool. 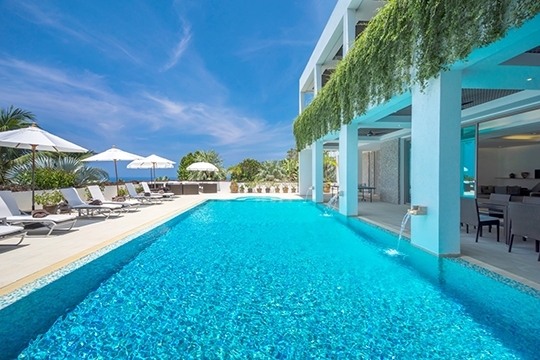 Overlooking the ocean in an exclusive estate, One Waterfall Bay is a luxurious holiday villa ideal for families or groups seeking a refined escape with top-notch facilities and services. 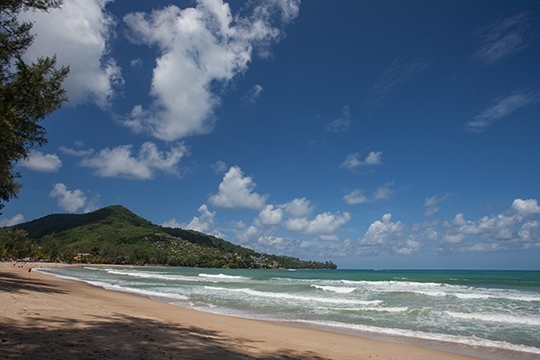 Though the villa is tucked away on a tranquil headland, the sands of Kamala Beach are just a short drive away. 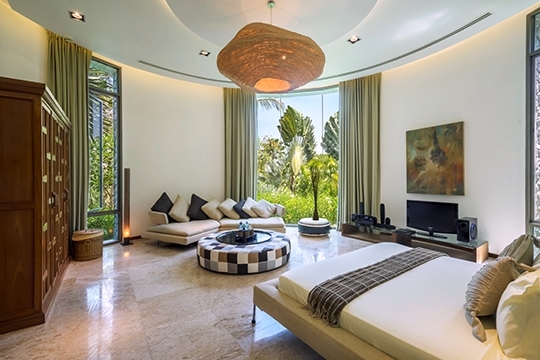 Total privacy and comfort are assured at this thoughtfully designed four-storey villa, where spacious bedrooms all feature luxurious ensuite bathrooms and TV entertainment centres. 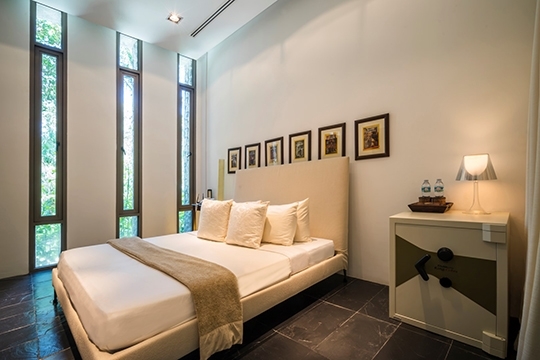 The two master suites, with private sitting rooms, offer the largest and most lavish sleeping quarters, while three guest suites (two furnished with king-size beds and one with twin beds) are slightly smaller in size but still amply furnished. 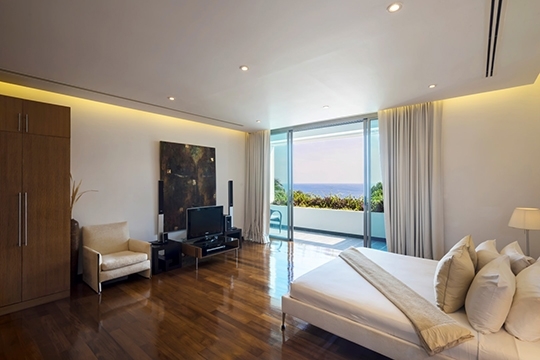 An extra sixth bedroom (also home to the villa’s IT server), with king-size bed and ensuite bathroom, can accommodate two more guests. 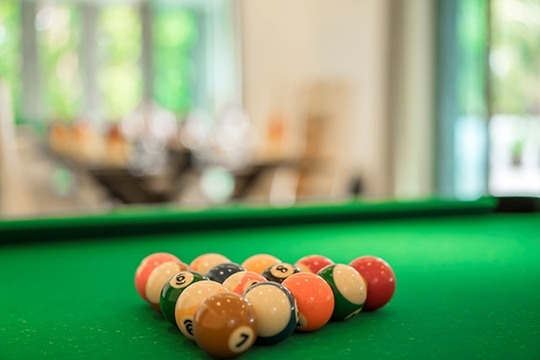 Entertaining is a breeze at One Waterfall Bay thanks to scenic pool decks and rooftop terraces, a formal dining room complete with pool table, an elegant living room, and a cinema room with a 90-inch projector screen. 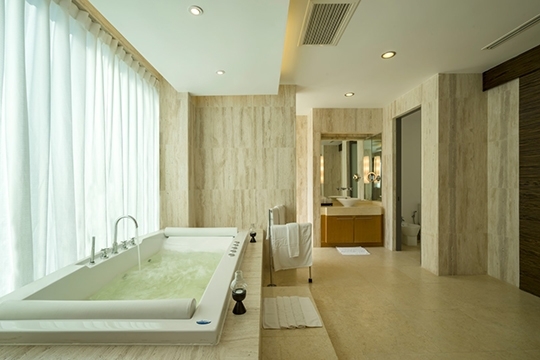 And the spa room with massage beds, jacuzzi and sauna offers plenty of opportunity for relaxation and restoration. 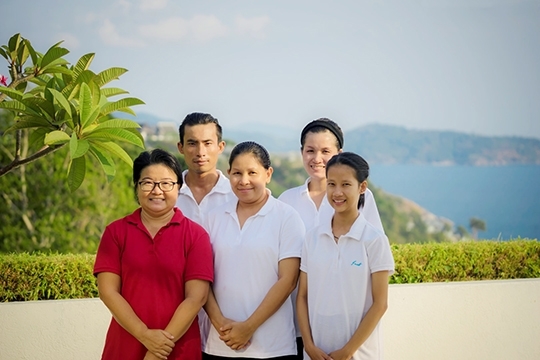 Boasting a level of service rare among private villas on Phuket, One Waterfall Bay is staffed by a villa manager, housekeepers, a Thai chef and a personal driver who will help guests explore the island in the villa’s own ten-passenger minivan (petrol extra). Additional service is offered by a guest relations manager provided by the professional management company that takes care of the villa. 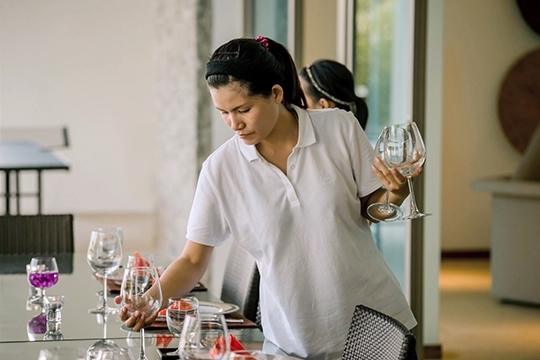 The chef is available for all daily meals, which she prepares in the villa’s spotless professional kitchen. 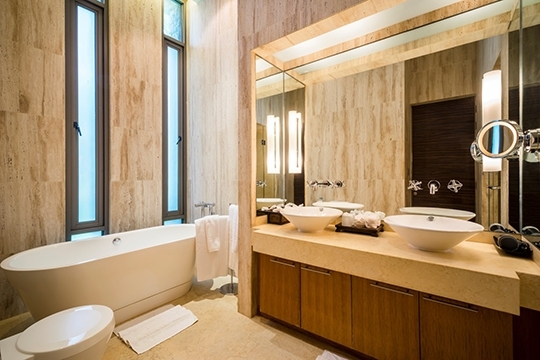 Guests pay only for the cost of provisions plus a small surcharge. 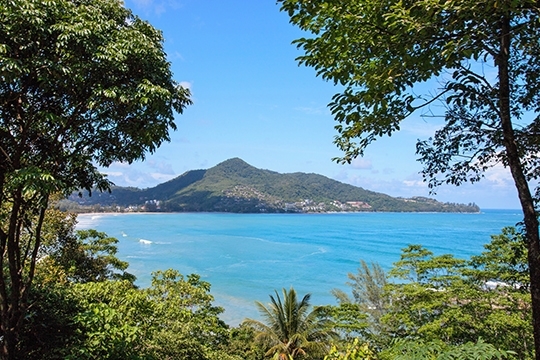 Some excellent dining choices are available nearby, while the sandy Kamala Beach is a favourite swimming spot for families with surf and body boards available for rent. Shopping, nightlife, golf, sailing and other leisure activities are all within easy reach, courtesy of the villa’s complimentary car and driver. 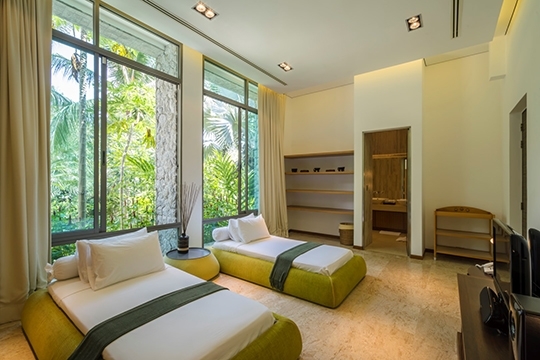 A refined tropical escape with top-notch facilities and services. 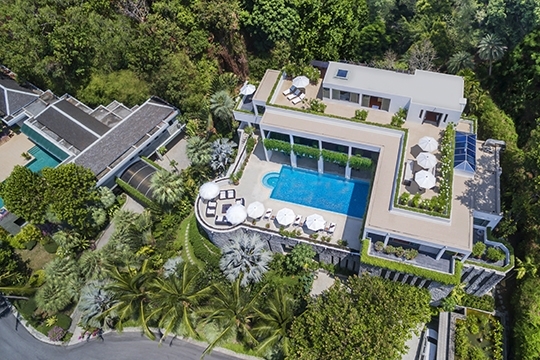 One Waterfall Bay lies within a five-villa estate of the same name, located near the end of a road known as Millionaires’ Mile for the luxury resorts and villas set along its curving coastal route. 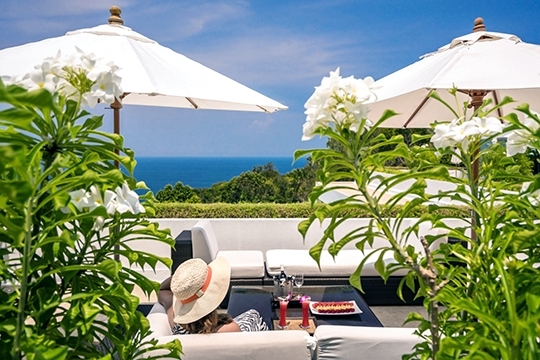 This peaceful west-coast headland is an easy drive away from Kamala Beach, a two-kilometre stretch of sand and resort town with a number of casual and Thai dining choices. Within a short walk is Paresa resort, which boasts an excellent restaurant, while the upscale restaurants of Andara and Cape Sienna resorts are a few kilometres away. 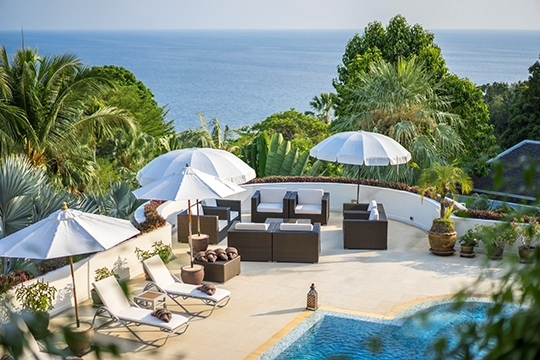 Those wishing to explore the island further and find more shopping, dining and leisure activities can do so with the assistance of the villa’s car and driver. 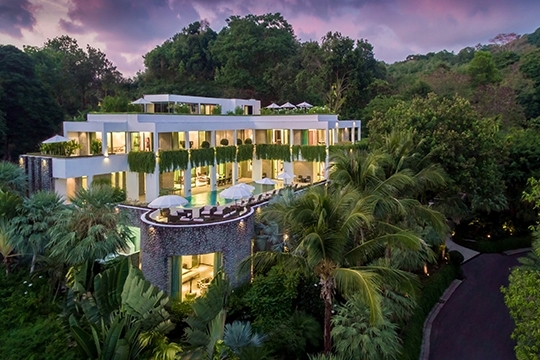 Set over four floors on the edge of a hillside, One Waterfall Bay offers ample space to play and relax. 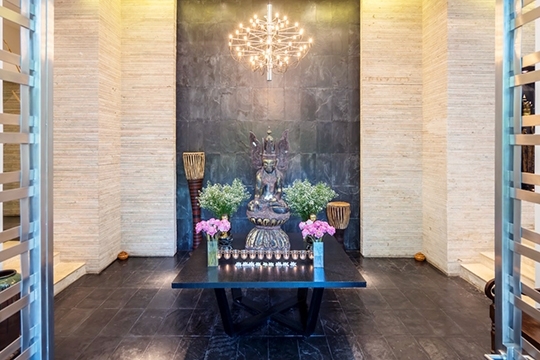 Entering on the ground floor through a stately woven-steel double doorway, guests are greeted by a serene Buddha statue. A corridor to the left leads to one of the two luxurious and exceptionally spacious king-bedded master suites, a twin bedroom, plus an extra room that serves as a sixth bedroom if needed. 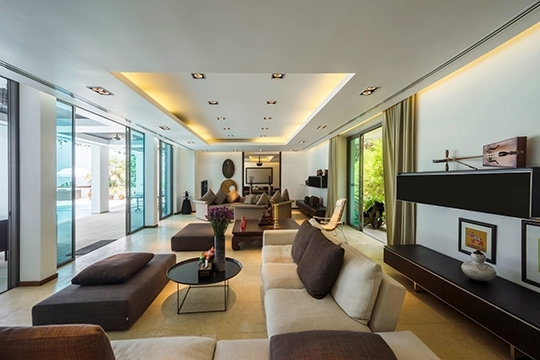 On the next level up is the villa’s living room, dining room, kitchen and home cinema. 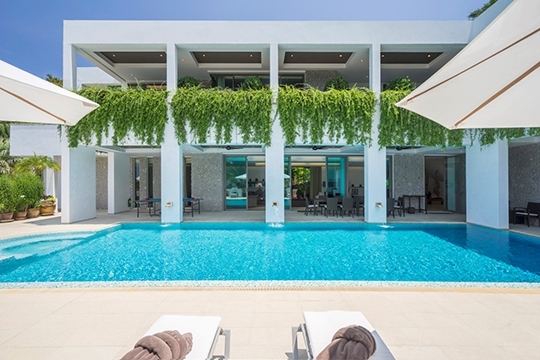 These rooms are arranged in an L-shape with living and dining spaces opening onto the 14m pool and jacuzzi set into a terrace furnished with sunbeds and comfortable all-weather seating. 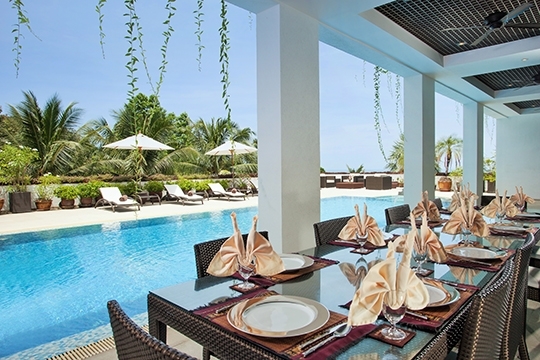 A long table is set up for poolside dining on the shady, fan-cooled veranda. 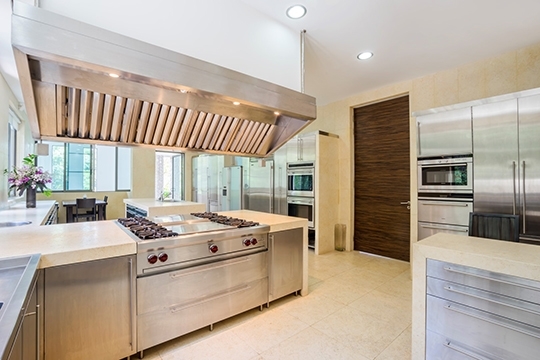 The large kitchen is fitted out to a professional standard and, although predominantly the domain of the villa chef, is available to guests should they wish to self-cater. 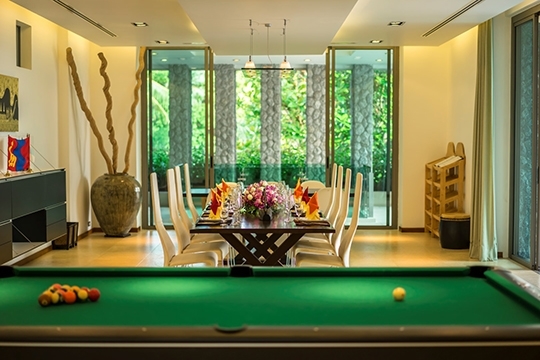 In the dining room two tables can be joined to seat up to 14 guests, and a pool table at the far end offers after-dinner amusement. 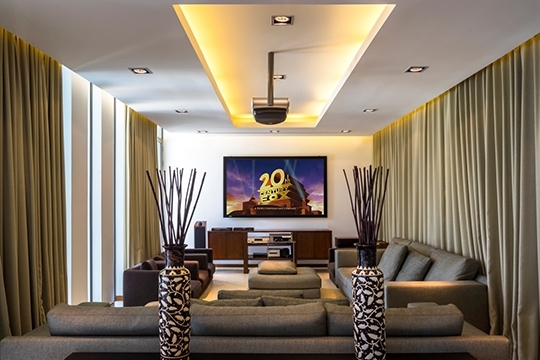 Sliding doors from the living room open to the home cinema, with soft sofas and a 90-inch projector screen making movie watching and electronic game playing a fully immersive experience. A grand spiral staircase leads up to the villa’s largest master suite, two guest rooms and a study. 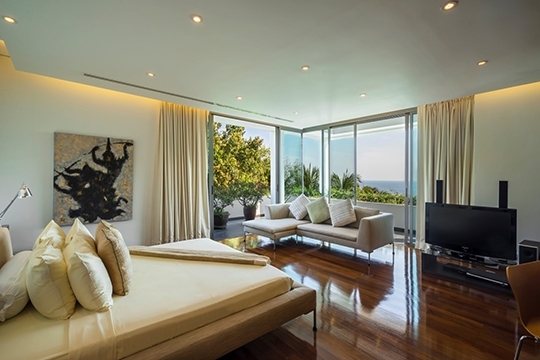 The master features a private living area complete with a home theatre system. 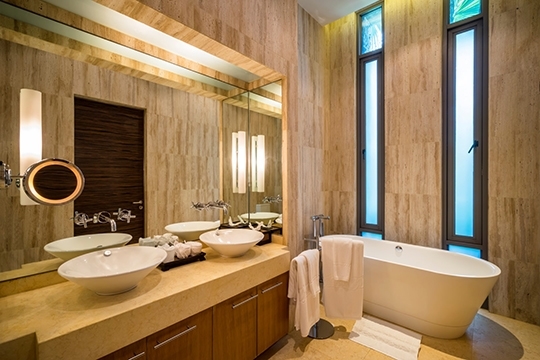 The bathroom here is finished in cream marble and fitted with a jacuzzi bathtub and a large walk-through dressing area. 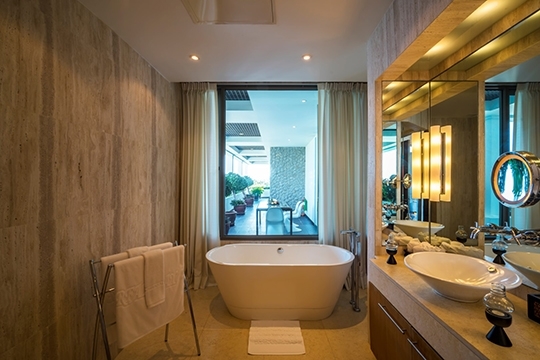 The two guest rooms each have king-sized beds, ensuite bathrooms with double bathtubs and sliding doors that lead out to a shared balcony. Set adjacent to these two bedrooms is a comfortable study. 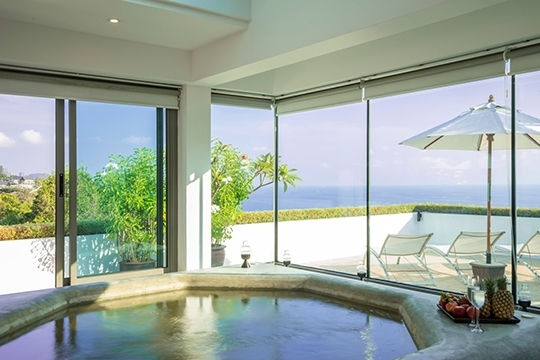 The top level is dedicated to relaxation and restoration, with a spa room offering two massage beds, a sizeable jacuzzi and sauna as well as spectacular sea views. Sunbeds and poly-rattan sofas set out on the rooftop terrace offer an ideal perch to bask in the sunshine and take in the sunsets. 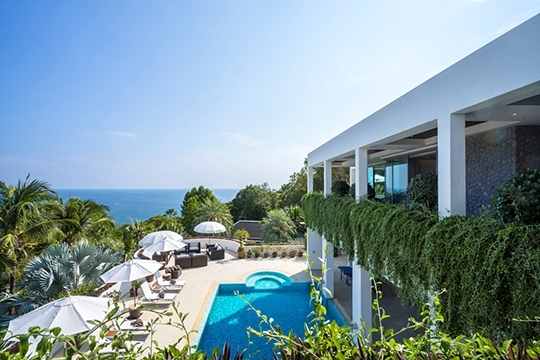 6 bedroom villa located in Kamala, Phuket. 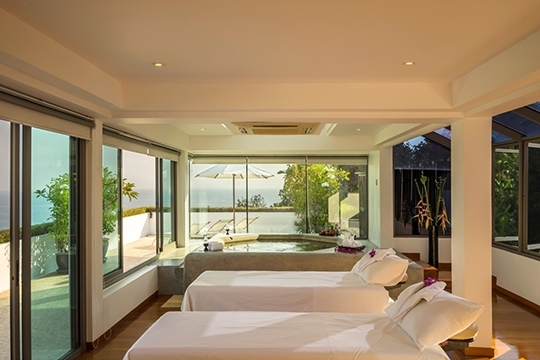 Ideal for Beach in ten, Body and soul, Bring the relatives, Kid friendly, Gastronomic delights, Party pads, Room with a view. 9 out of 10 based on 17 user reviews.